WATERLOO, ON--(Marketwired - January 21, 2015) - Huron Technologies today announced that it has rebranded itself as Huron Digital Pathology. The new name and accompanying logo more clearly communicate Huron's focus on delivering innovative whole slide scanning solutions to its customers in digital pathology. 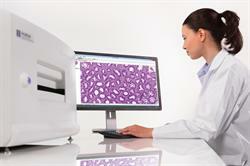 Supporting the rebranding, the company has launched a new website at www.hurondigitalpathology.com. The site features Huron's award winning TissueScope™ digital slide scanners, TissueView™ image management software, and its new TissueSnap™ preview station. A highlight of the new website is the resources page where visitors can download the free Huron image viewer and learn about how TissueScope scanners can be used in research and clinical applications. "I am excited to launch our new rebranding, as it supports our focus on bringing innovation to the field of digital pathology," commented Dr. Réda Fayek, CEO of Huron Digital Pathology. "I believe it gives our growing company added momentum as our TissueScope scanning solutions find their way into more clinics, hospitals, and research facilities." Media Note: For additional information on Huron Digital Pathology, visit our company page for executive and board member bios, our media kit for our logo and photos, and our resources page for an informative video on our innovative slide holding system. 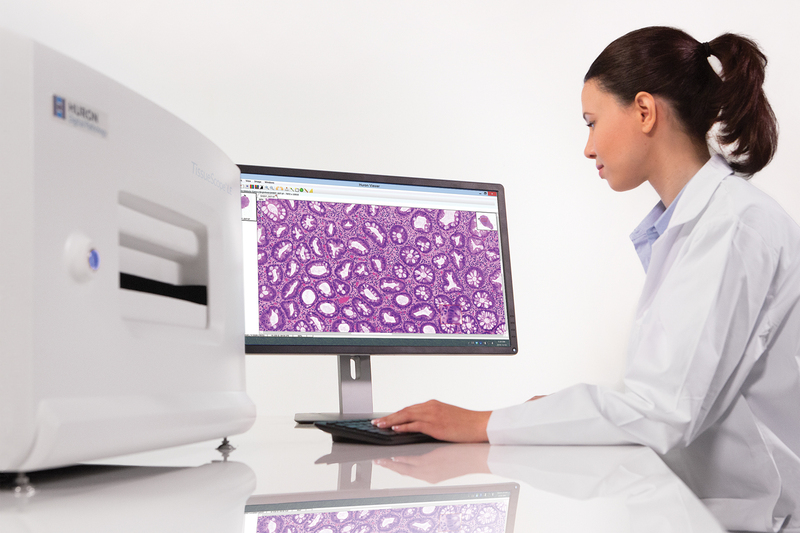 We believe that innovation is the key to making digital pathology a ubiquitous reality. But for us, innovation is about more than just delivering great image quality and fast scanning speeds. It's also about designing products that are simple to use, easy to integrate with your workflow, and have attractive price-performance characteristics. The TissueScope Scanner is intended for research and educational purposes only. Huron Digital Pathology's slide holder system sets the standard for scanning versatility and safe handling of slides for digital pathology. Huron Digital Pathology's TissueScope LE is the easy to use desktop scanner for digital pathology that matches high quality scanning with attractive price-performance characteristics. 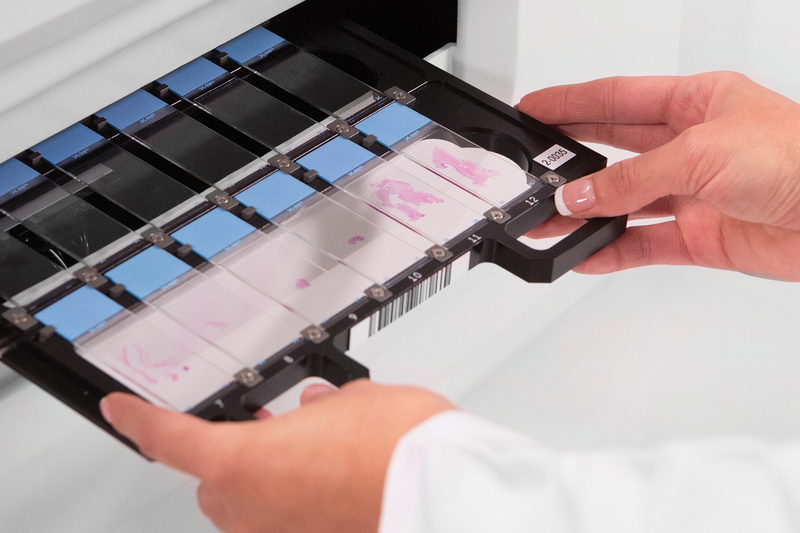 Huron Digital Pathology's slide holder system sets the standard for scanning versatility and safe handling of slides.